From New York-based luxury antiques specialist, A La Vieille Russie, come three priceless pieces that are sure to be staples in any jewelry collection. The jeweled pin has become one of the season's hottest accessories. Not only does it add a hint of originality to your outfit, but it does all the work for you. 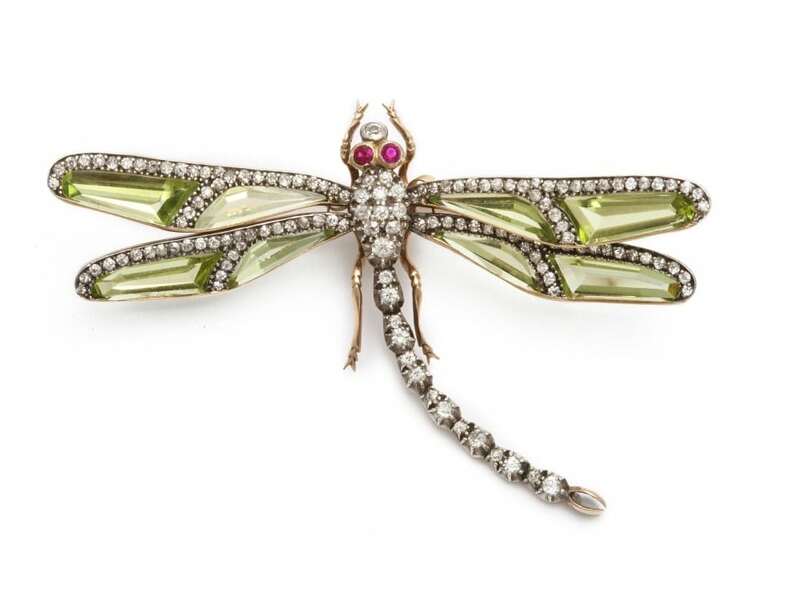 And this particular dragonfly brooch—set in silver and gold with peridot and diamond wings—is perfect for any ensemble. 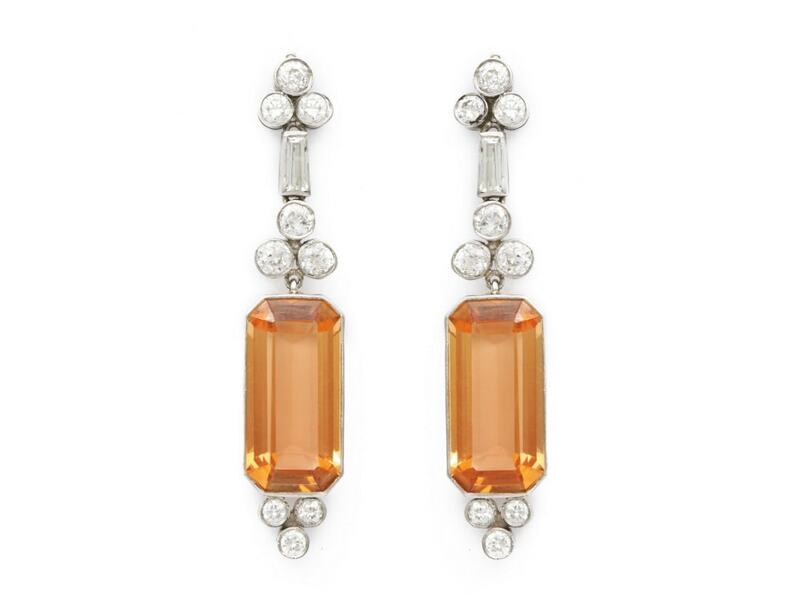 This vintage pair of precious topaz pendant earrings with round and baguette diamonds scream Hollywood glamour. The set, crafted in the '30s, is a timepiece that captures the booming era of American extravagance to a tee. 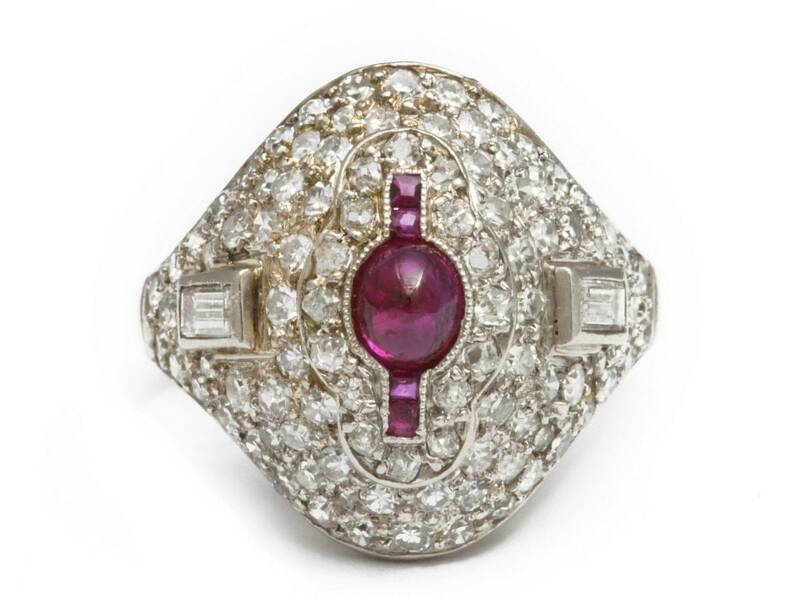 Mixed cut pavé diamond never looked better than on this bombé ring with cabochon ruby set in platinum.